Storyteller. 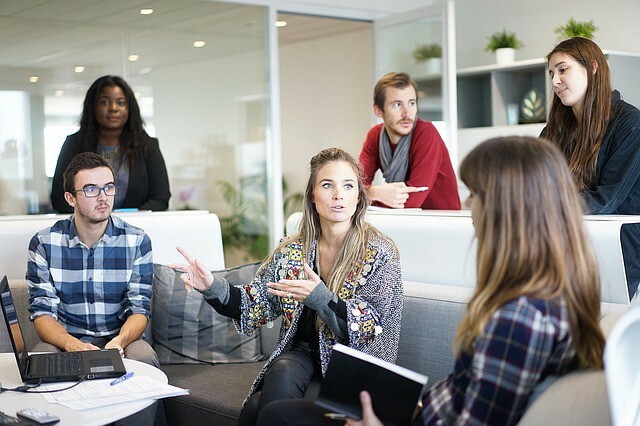 Educating companies of all sizes the benefits of Going Digital with Business Networks. 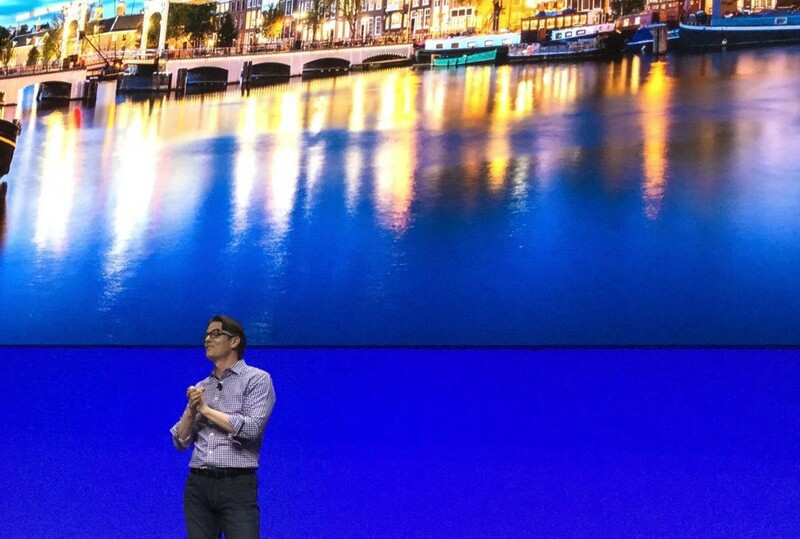 Having worked at both SAP and Ariba prior to the acquisition, James is uniquely positioned to drive the connection of the world's companies together with the SAP Business Network. For too long companies have focused on their internal processes, data and employees: its time to look "Beyond the Wall"? to customers, suppliers, contractors and the "Intelligent extended value chain". Earlier this month I made my first visit to Sydney. Like most first time visitors I was suitably impressed with the Opera House. 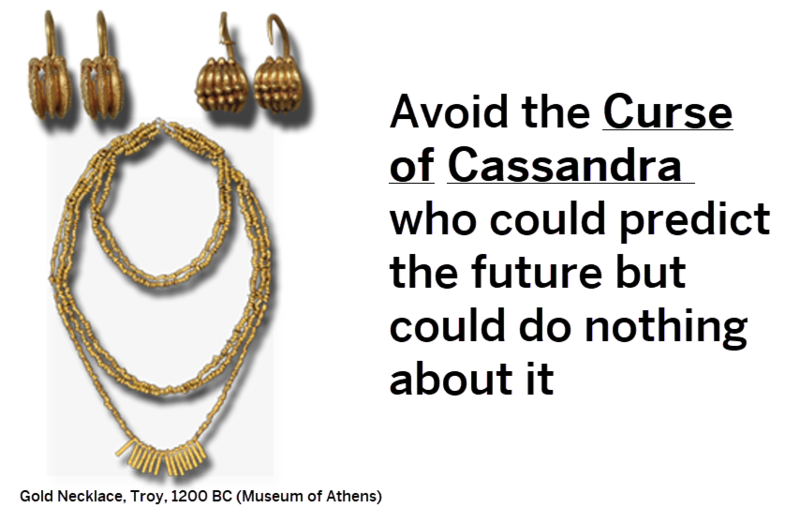 The engineer called upon to build the Opera House (who has just died) had challenges similar to the demands on modern Supply Chain Professionals. Lets take a moment to remember engineers, and Supply Chain Managers, who stop the roof caving in. Earlier this morning I set my alarm for 0300 for the Great Lunar Eclipse, where the shadow of the earth would full across the face of the full moon. This movement of astronomical bodies had been predicted literally hundreds of years ago. If Eclipses are so easy to predict, how come no-one in the London saw the recent Lunar Eclipse, and what does this teach about the nature of predictions. In Sales, as in Chess, sometimes to get insight you need to look at the position from the other side of the table. So, if you sell into B2B it would be useful to hear how Procurement teams are viewing 2019 and what priorities and strategies they are putting in place. Understanding Your Customer’s Experience: Are You in Orbit or Just Flying By? The two NASA probes both successfully executed critical maneuvers this week: one was a fly-by and one was a close orbit. This got me thinking about the way that companies engage with their customers in the Experience Economy. The next evolution of enterprise applications requires a real-time connection between the system of action and the system of record. You need both the trajectory to visit all of your customers, yet at the same time the ability to develop deep relations with them so you can deliver the experience they want. No longer do companies have to make a choice between the fly-by and the close orbit. How many ghosts do you need? Scrooge needed three separate spirits to answer questions about the Past, Present and Future. Today’s Business Leader needs just one. The blog looks at the three fundamental questions of business: What happened? What is happening Now? What will happen in the future? It used to be the case that three separate IT systems were needed, but modern Intelligent Enterprise systems can answer questions about the past, present and future at the same time. Modern science has its origins in medieval alchemy: the difference was in the use of data. Businesses also need to transition to data-backed decision-making. Its comforting to want to stay in the world of anecdotal-decision making. Stories have mighty persuasive power, but business leaders need need to get away from alchemy, and introduce data-backed decision-making into the Enterprise. SAP Ariba announces live Cloud Infrastructure in the Gulf to support the Intelligent Enterprise. What's old is new again. While my ancestors were running around in Dark Ages Britain, Arab scholars were building the foundations of mathematics with Al-Gebra, and the Al-Gorithm. More strikingly, at the same time, Arabic traders were popularising a new number system, which we now call Arabic Numbers. So this seemed a fitting place to talk about how mathematics and algorithms are underpinning the Intelligent Enterprise. Whatever happened to Data Mining? As noted on my previous blog (The Changing World of Procurement), it is surprising when a technology company organises a conference, and technology is not the main part of the conversation. When an IT company hosts a conference, surprisingly, not once talking about IT can provide the most compelling reason to invest in technology after all. 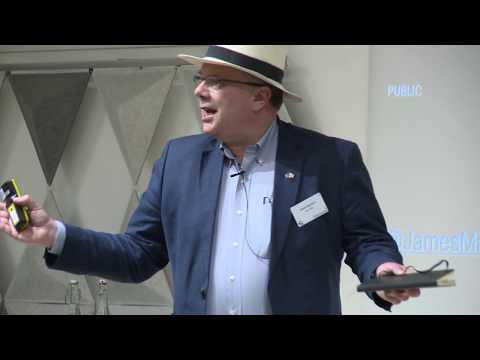 James Marland reviews the Future of Procurement event hosted by SAP in London, where the topics were career, talent, purpose and change management in the profession. This weeks Nobel prize for medicine shows that the body’s own immune system can be activated against malignant tumours. There are parallels to the way companies should activate “dormant” data to protect themselves. It’s embarrassing, isn’t it, to still be talking about slavery in 2018, 150 years after the first anti-slavery campaigns? It’s time for companies to get real about their responsibilities to society. To have impact you need to make big changes to big things. That doesn’t mean don’t experiment. But don’t settle for just tinkering with things. It’s too late for tinkering, and the stakes are too high. What’s your Big Idea? At the recent Carlyle Global Partner Summit in Monaco, five leaders stoked up the crowd with their experiences of the transformational power of philanthropy. This blogs reviews their panel. It is inspiring to see these women leaders coming together and challenge conventional thinking around how business can be used for good. Who is the Steward of your most valuable asset: your Brand? How are you guarding your Crown Jewels? At the Tower of London this week, I was inspired by the Crown Jewels: it got me thinking about who guards your company’s Crown Jewels?—?your Brand. Your brand is the Crown Jewels of your company. It might not contain the Koh-i-Noor diamond but according to reports of Brand Equity top brands are valued in the Billions. SAP’s for example is valued by Forbes at $25Bn. And just like the jewels in the Tower of London, you need the best security possible. In this blog James looks at what we can learn from the ancient masters of glass when we consider what is needed to make an enterprise truly Intelligent . I visited Sony in 1999 to make the first Japanese connection to the Ariba Network: the growth in our Japan business since then has been epic. This report summarises the event, including key quotes and my observations. As we move from the Age of Mandate to the Age of Guidance, there is an enormous opportunity for procurement professionals to make themselves known and heard. Being purpose-focused is essential to engaging customers and employees and being perceived as relevant, admired, and innovative by investors, partners, communities, and public entities. Modern-day procurement leaders are starting to use the phenomenal buying power of their organisations to address some of these big social challenges. What legacy do you want to leave? Want to Build a Trade Network? Go Dutch! Any woodworker knows that a bond between two pieces of wood is always a point of weakness. Like any design project, success depends on building a strong foundation, starting with the technology platform. So much of our lives rely on technology. But that technology must work consistently. It must be user friendly. And it must be strong and stable over an extended period. James Marland, SAPAriba’s VP of Network Growth shares his New Year thoughts on the future of Procurement As we talk about the Future of Procurement it’s certainly tempting to talk about all the new stuff. The highest price ever paid for a painting was exceeded this week, but how does any buyer know exactly what they are getting? At SAPPHIRE NOW, Bill McDermott invited Michael Dell on stage to talk about Digital transformation. Michael used an interesting expression, saying that there was a "Cambrian Explosion of Opportunity" in front of companies as a result of the new digital technologies. So what was the Cambrian Explosion, and why did Michael use this metaphor? 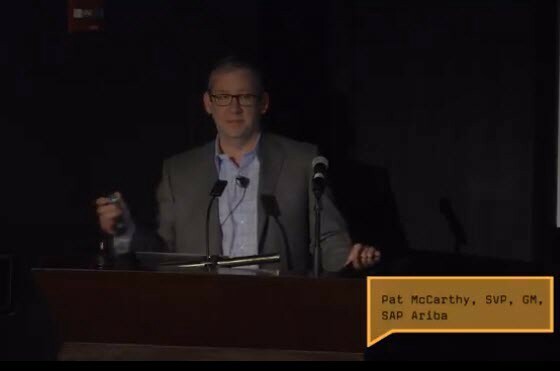 James Marland, Global Vice President at SAP Ariba, was one of the keynote speakers at the Central & Eastern Europe eProcurement conference in Slovakia, April 11th. The presentation started with a photograph of a Prague taxi driver who had connected 9 devices inside his cab (a DVD player, two phones, a GPS, a printer, a credit card reader etc). This is what some companies try to do when they go digital: they end up with huge complexity, multiple systems which don't talk to each other. The presentation moved on to what does it main to manage Spend Intelligently in an organisation (see picture). This needs to take into account the changing role of procurement, as they move from the age of Mandate to the age of Guidance. James observed that as his own daughters enter the workforce they expect corporate systems to work the same why as the rest of their digital lives. Simple. Mobile. "Just say Yes". Finally the speaker explained that a vision for Intelligent Spend Management needs to support a "one-to-many-to-one" flow. Suppliers and Policies need to be brought together in one place for risk management,then franchised out to the appropriate system to actually do the transactions for Direct, Indirect, Services and Travel, then to be brought back together for analysis and to derive intelligence to feed back into the policies. Just as the Tower of London protects the Queen’s Crown Jewels with stone walls and cannons, procurement teams need to likewise protect their company’s reputation in the age of 24-Hour News Cycles, Social Media and Globalisation. James Marland will share how procurement is the most critical department in corporations to not only protect the brand, but also to help the company achieve its social and environmental goals. In this short interview, from the Gartner Supply Chain Conference in Sep 2018, James reports that digital transformation is not just restricted to some industries. What was once evident in book and media publishing is washing over all industries, don't think you're immune. You need a Digital Supply Chain to stand up to this wave or you run this risk of getting swamped. Ronald van Loon interviews James Marland who explains how procurement is changing, and how Ariba is responding with services and technology. Listen to james discuss why Procurement is best placed to help cmpanies with their Corporate and Social Responsibilities. 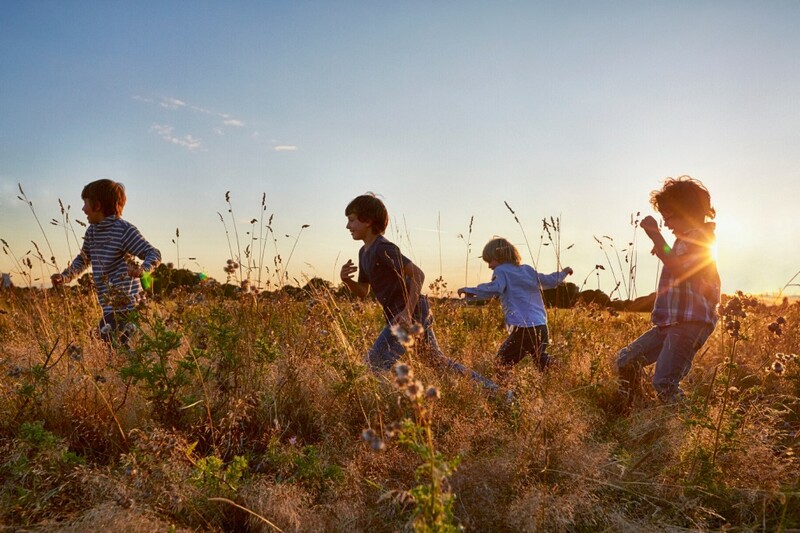 In a spirited panel at the SAP Ariba London Summit, customers debated the changes they are seeing in procurement and how to balance evolution with revolution. Blog from moderator James Marland summarises the key thoughts and quotes. A recent debate shows an even split between idealists and realists on how much influence procurement has on social, environmental and ethical issues. James Marland was the host at SAPAriba's recent Future of Procurement conference at the Royal College of Physicians, where a panel of Procurement experts looked at how they too can introduce data-based decision making into their profession. James Marland, VP Network Growth for SAP Ariba, presented at the United Nations Forum on Business and Human Rights in Geneva, hosted by Lise Kingo, CEO & Executive Director, United Nations Global Compact. The presentation was on advancing decent work in Global Supply Chains, and how software from SAP can help companies move from commitment to action. Presentation on extending the concept of the Intelligent Enterprise to the full Value Chain. Intelligence should stop at the four walls of your company. 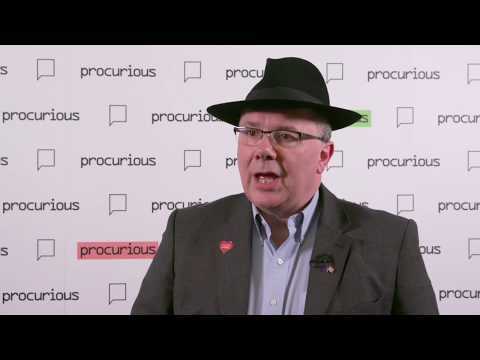 What is the Future for Procurement? James highlights how procurement needs to adapt to the new way of working, to be the department that stops saying "No", and starts to say "Sure, I can help you with that"
Procurement with Purpose : Why are we here? Purpose should be a pivotal part of every organisation's business strategy. Why are we here and what is your business' purpose? James takes on the role of TV anchor from SAP AribaLive in Amsterdam, this time with Gustavo Cyrillo Amorim as we wrapped the thing up. James and Marcel recap the SAP AribaLive event in Las Vegas. 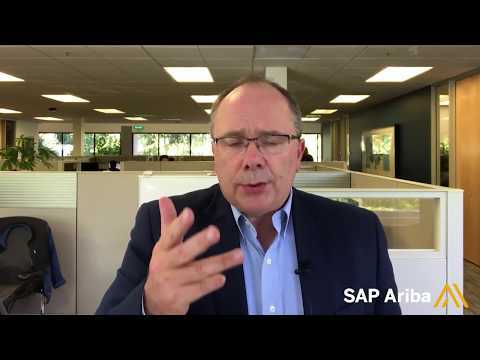 James discusses the upcoming SAP Ariba Live event in las Vegas, with Tifenn, the CMO of Ariba. 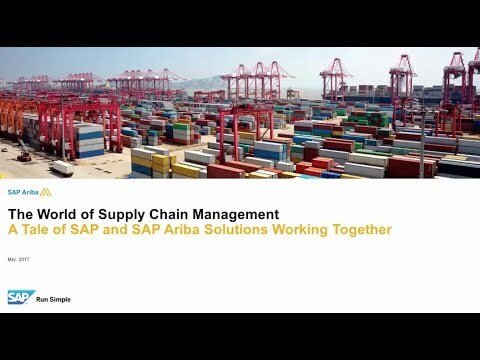 In this extensive overview, James explains how IBP, Ariba and the Ariba network can combine to help digitise the Supply Chain. Join James has he uses one of his whiteboards to explain Ariba, its Value Proposition, and the recent innovations. Hasbro has recently introduced a version of Monopoly that eliminates cash by using a little ATM, with a scanner and barcodes on the cards and board. If a player wants to buy a property they’ve landed on, they just need to scan their credit card, and then the Title Deed, and the price will be automatically deducted from their available funds. It works the same way if another player lands on a property with a house or hotel on it. By scanning both credit cards and the property card, funds can be quickly transferred between players to pay the rent. This new edition (ominously called Ultimate Banking Edition) reflects that for the target player (“ages 8 and up”, according to the box) handling cash is becoming increasingly rare. Touch-less payments are very common. When I hand my taxi guy a couple of rumpled twenties it already feels vaguely criminal. When I make trips to non Euro countries such as Sweden or Denmark I don’t even think about getting any cash, and only have a vague idea of the Exchange Rate. But, in the American Rental sector, things haven’t changed much since Monopoly was first introduced, in the 1930s. 70% of renters pay by cheque. It’s unlikely that rent at Boardwalk is still $400, but it is more than likely that the current residents are reaching for a chequebook once a month. In the game, the worst Chance card is the one that forces you to pay housing repairs. In the real world these are B2B invoices, and 77% of the worlds invoices are still on paper. This means that reconciling those invoices for repairs such as decorating and cleaning will be a cumbersome process. Get Out of Jail. The problem for Businesses today is that their IT systems are pretty much a jail: no communication with the outside world. Your suppliers, customers and other stakeholders can’t really communicate in the real-time, digital, Hi-Fidelity way that today’s economy requires. You don’t want to be languishing in the corner, hoping to roll a double, while your competitors cruise past on the “Just Visiting” lane, picking up all the best assets. If you are a Monopoly fan, then you can just buy this Banking Edition, and all of the renters will magically be ready to receive rent notices electronically and render payment digitally. In the real world of B2B, life is a bit more complex than that. Rather than the 6 players in the game, you will have 1000s of connections to make. To Advance to Go, you need to join a Business Network. 50 years ago a Balance Sheet consisted of plant, machinery, raw materials, Finished Goods and land. These are the tangible assets of any company. However, there has been a big change. Within the last 25 years, intellectual capital has emerged as the leading asset class. Up from 17% in 1975 to 84% in 2015. The term “intellectual capital” refers generally to intangible assets?—?patents, trademarks and copyrights. Also, as more companies are outsourcing their manufacturing, those old smokestack assets are now also intangibles: such as supply chain, logistics acumen, designs, blueprints and licences. But there’s more, brand value is also an important component of Intangible Asset Market Value (IAMV). Comparing the 39 companies appearing on both the S&P 500 and the Interbrand list suggests brand value may represent as high as one quarter of the total market cap of a prominently branded company. So who is the Steward of the Brand? Everywhere you look, business is under scrutiny. Whether for environmental practices, labor conditions, tax, or paying suppliers on time, individual citizens increasingly are expecting companies to behave in a socially responsible manner. This is not a fad. A pivot. Something that will blow over. It’s a generational change. Increasingly leaders are look to protect their brand by looking at the external perception of the company by investors, partners, communities, and public entities. This is loosely called being purpose-focused and can cover social, environmental, and sustainability practices. 39% of consumers are likely not to buy a company’s products or services if they believe they are not “responsible”. 25% will actively advise friends and family to avoid the company. There’s a wide perception that these programs cost money and drive down margins. Wrong. Research suggests that companies that execute these types of programs can significantly outperform their rivals over a 10-year period. Modern-day procurement leaders are starting to use the phenomenal buying power of their organizations to address some of these big social challenges. At the upcoming Carlyle Global Partner Summit event in Monaco, Tifenn Dano Kwan, SAP Ariba CMO will share the worldwide movement building around social procurement.  Can you, or your brand, afford to sit this one out?